Every moment of time, and every task we undertake, invites us anew into the Mystery of the Spirit. ​During our journey into this ancient text of mystical wisdom, we will explore some of the most beautiful and inspiring poetry and prayers from the Carmina Gadelica and reflect on how this ancient Celtic lore can bring light and wisdom to our spiritual lives today. A prompt to help you weave this wisdom into your own spiritual journey. You will also receive a recording of a one-hour teleconference held with Carl McColman on Monday, October 22, 2018, when this course first ran live. Your guide on this exploration will be Carl McColman, author of numerous books including An Invitation to Celtic Wisdom, The Big Book of Christian Mysticism, and Befriending Silence. An American of Scottish Ancestry, Carl combines his love for Celtic wisdom and lore with an inclusive embrace of mystical wisdom and earth-centered spirituality. He is profiled in our Living Spiritual Teachers Project. 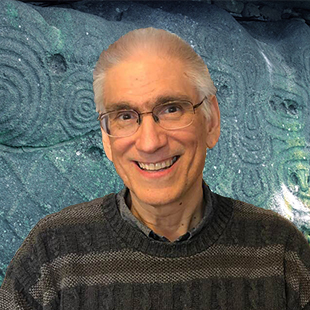 Carl led an e-course with Spirituality and Practice in 2017 on “Celtic Spirituality” (also available on-demand). "Poetry and Prayer from the Celtic Tradition" features all new material and is suitable for newcomers to Celtic wisdom, but it also would be a great follow-up to the "Celtic Spirituality" course. Carl's vision of spirituality is grounded in hospitality, steeped in celebration, and committed to new pathways towards healing and both inner and outer transformation. We welcome you to join us in "Poetry and Prayer from the Celtic Tradition." Please be prepared to allow this course to touch your heart and your soul, for every word of wisdom from the ancient Celtic tradition is truly a blessing and a prayer. 4 CEHs for chaplains available.